After being unemployed for 2 years, Phillip had become homeless and his mental health had declined dramatically. He turned to CoAct Service Partner, Interact, for support, and with their help he found just what he needed to get back on his feet. Prior to his stint of unemployment, Phillip had worked as a labourer, but his true passion was for gardening and landscaping. When Phillip’s Recruitment Partner Rebecca discovered his passion for gardening, she headed to LinkedIn to see if she could find some contacts in the industry. It was there that she connected with the manager at The Ez Garden. “Use all your resources, you never know who you may connect with. I found this employer through LinkedIn one night while chatting to a few people I follow”. Rebecca provided Phillip with a toiletries pack (donated by Seaford Lions Club), helped him to create a resume and cover letter and sourced him some new work clothing to help him make a great first impression when he met the team at Ez. Phillip’s experience with Interact gave him the confidence he needed to make progress in his career. 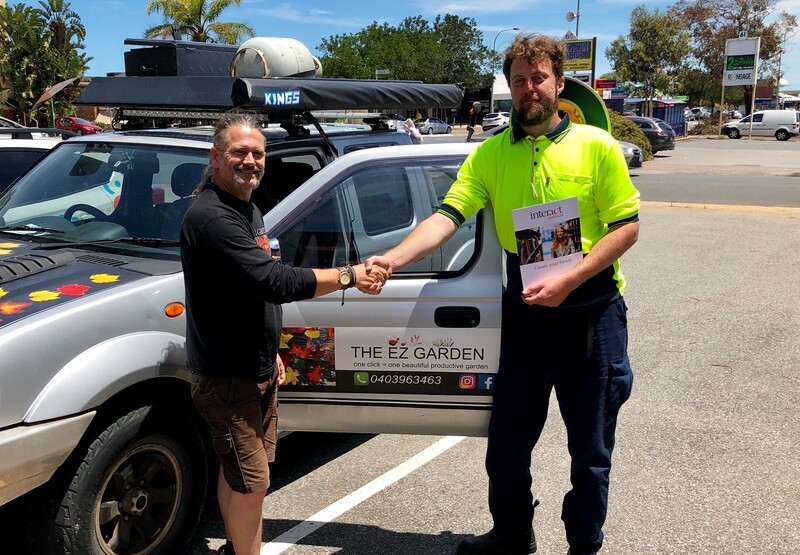 Thanks to Rebecca’s help, when a position became available at The Ez Garden he was ready to take on the challenge. Phillip is thrilled to be working again after so long in unemployment and now that he has a steady income he will be able to gain secure accommodation. When asked about his experience with Interact, Phillip said that it was “a true-life changer”. If you are looking to make changes in your own life, the friendly team at CoAct can help. Get in touch today and get support to find the right job sooner.